On the day of the first Eddie Bravo Invitational in June 2014, Geo Martinez and his brother, Richie, arrived at a dark and empty downtown Los Angeles at 4am. They rode a red-eye bus from Las Vegas, after breakdancing all day in a major competition. They had not eaten in twelve hours and had barely slept. Tired and worn, they were sitting against a badly-lit corner of a building, hoodies over their heads, looking like two homeless dudes waiting for a shelter to open for breakfast. Unbeknownst to Geo at the time, this would be the final morning of the last day of Jiu-Jitsu anonymity. Some time later, their ride arrived to get them ready to make their professional jiu-jitsu debut at Florentine Gardens in Hollywood later that night. Geo won the EBI tournament, defeating Jeff Glover in the finals. To say that Geo, a.k.a. Freakahhzoid, twenty-seven years old, from San Diego, had a good year would be an understatement. In January of 2014, he received his Jiu-Jitsu black belt. This feat was accomplished after only three years of training. He started under Sean Bollinger, then Ryan Fortin, and finally, received technique polishing from Eddie Bravo himself. This year, he went undefeated in all his tournaments. He conquered the regional tournaments nearby. He also captured gold at larger venues like Gracie Nationals. His breakthrough, and his debut to the world, though, came at Eddie Bravo’s submission-only tournament. The first one was held in June, in which Geo defeated the well-respected Jeff Glover. In October, he fought again, at the second EBI, this time beating Fabio Passos (a Cobrinha black belt) in the finals. The world at large, though, really took notice after his performance at the ADCC North American Trials in early December. Geo submitted all his opponents, some as fast as forty seconds with a rear naked choke, a calf crank, a kimura, and a variation of a D’Arce choke. When asked about competing at IBJJF events, he said he would have loved to compete in the NoGi Worlds of the IBJJF. However, he was denied entry because he did not meet the IBJJF’s time-in-rank requirements at purple and brown. Jean Jacques Machado vouched and signed Geo’s registration, but was denied by the organization. IBJJF notwithstanding, the right people have taken notice of Geo. He was scheduled to fight at Metamoris 5 against Rubens Charles “Cobrinha” but an undisclosed hitch held that match up. Rumors are, Geo will fight at Metamoris 6.
Who would he face? Who does the jiu-jitsu world want him to face? Geo’s preferred fighting weight is at 135lbs. This puts him in the range of Caio Terra, Bruno Malfacine, Paulo and João Miyao, Gui Mendes, Rubens Charles “Cobrinha,” Augusto “Tanquinho” Mendes, and Gianni Grippo. To those not in the know, to place Geo in this list seems incredulous. Those that have had a chance to train with and compete against Geo would love to see him go against one of the above. This writer hopes Ralek complies. 10th Planet Jiu-Jitsu had a lot to be thankful for in 2014. Eddie Bravo’s performance against Royler Gracie in Metamoris 3 in March didn’t so much “redeem” his victory against Royler from the 2003 ADCC, as it completely obliterated a decade of misinformation and prejudice his style of Jiu-Jitsu has faced. This new era has brought new attention to Eddie’s Jiu-Jitsu, which he doesn’t like to call a system, but more of an approach, or a philosophy: to have an open mind, discard with what doesn’t work, and use what works. With this new regard, Eddie has been able to showcase one of his star fighters, Geo, who along with Denny Prokopos, Nathan Orchard, Richie Martinez, and Sean Bollinger, are coming to represent a new wave of 10th Planet Jiu-Jitsu fighters in what perhaps can be classified as the second significant era of 10th Planet Jiu-Jitsu. I had the good fortune to interview Geo over the holiday weekend. I found him to be incredibly humble but passionate; intelligent and intuitive. I and many others look forward to what 2015 will bring. 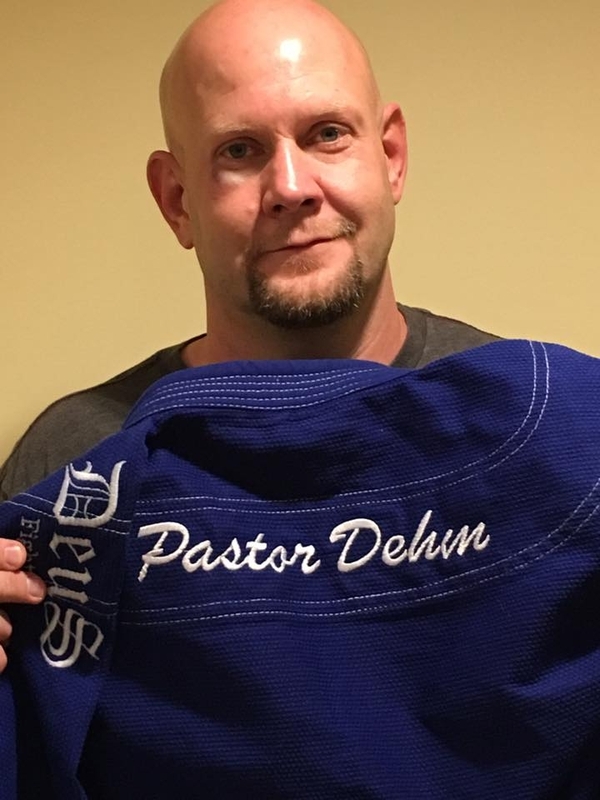 Seeing how most of the people that will read this are from outside of 10th Planet Jiu-Jitsu, could you briefly give us your biography and jiu-jitsu biography? Who were your instructors? How was it possible you got black belt in 3 years? I was born in 1987. I’m twenty-seven. I started training jiu-jitsu 4 years ago. I started training with Sean Bollinger then Ryan at 10th Planet Vista. Honestly, I just kinda got obsessed with it and trained every day. My brother, too. 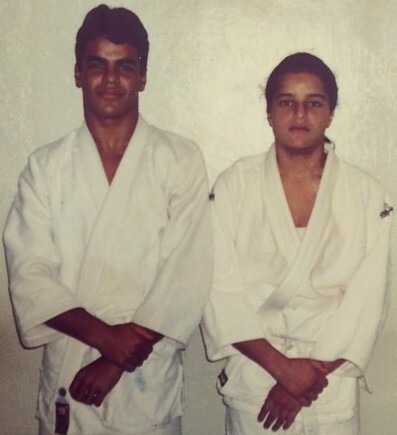 Your brother, Richie, is an awesome jiu-jitsu, fighter, too. He took Garry Tonnon to the limit at the first EBI final. Do you and your brother, Richie, keep count of who has tapped who? What’s it like to train with your brother? It’s a blessing to train with my brother. We’ve been doing everything together, bboying, video games, and doing jiu-jitsu. We want each other to be better. No one’s keeping count but it’s always nice to compete against someone who wants you to be better, too. What sort of training methods and philosophies allowed you to get your black belt so quickly? Did your skills from breakdancing help your transition into martial arts? Breaking taught me discipline, to be with a crew, and rely on others for your training. We train hard. Breakdancing is very difficult for your body. So I’ve been training my body for complex moves and sets for a long time. As a dancer, I understand techniques as a pattern. Bboying also helps you take risks. You know, you gotta go for it, throw yourself on your head and spin. Is that why you like the rolling kimura attack? Oh, yeah, I love that attack, and the trucks and rolls to the truck. Feels natural to me. What attracted you to 10th Planet in particular? Eddie. Simply Eddie. He was the freakshow in jiu-jitsu. He got hated for it a lot. But he’s always been kind to me and is a generous, open teacher. Eddie inspired me beyond movement and technique. He accepted me and my crew (all in my crew do jiu-jitsu). He helped me in my life. He never wanted to do anything to harm anyone. He just loves jiu-jitsu. He’s open to anybody. Has a laid back mentality. Ben Saunders, an American Top Team fighter, is one of Eddie’s new friends. You can come from anywhere and he’ll accept you. Do you have a theory of jiu-jitsu? In your documentary before EBI-1, you said, “Jiu-jitsu, B-boying, what’s beautiful about it is endless patterns.” Can you elaborate on the idea of “endless patterns” and its connection to jiu-jitsu? Jiu-jitsu patterns are the foundation of our movements and our opponent’s movement. Everyone has a particular “set” they do from this or that position. It’s less about “seeing” patterns than about feeling them. The less you think, the better. When you’re free, your movements are a lot more creative, and you feel your rolling partner’s patterns. When dancing, you’re performing and you have to execute the move. Tell me about your nickname Freakahhzoid and your crew’s name The Freakshow. Being a freak means we accept everybody, and we don’t wanna be robots. When we started dancing, it felt like everyone was the same. Personally, I’ve always been an opposite’s dude. I like taking the detours, because that’s when you are yourself. The truck. Is that your go to position? Do you finish most of your fights from there? Or where? I’d rather take the truck than the back. There’s only a few counters to the truck. I get a lot of my submissions from there. But the submission I hit the most is the kimura. Do you think you’d ever transition to MMA? I’m a sucker for MMA, am a huge fan, but I know it’s a lot of work. I still want to battle, dance, do jiu-jitsu. My brother’s opening a new 10th Planet San Diego, and I got my school in Oceanside. If I do anything, I have to dedicate it all. I want to thank Phalanx. They’re my biggest sponsor. They’ve believed in me since I was a purple belt. Great company and great gear. A huge shoutout to my brother, Richie; and, of course, Eddie.